David Curcio’s work is full of the realness of life’s challenges. 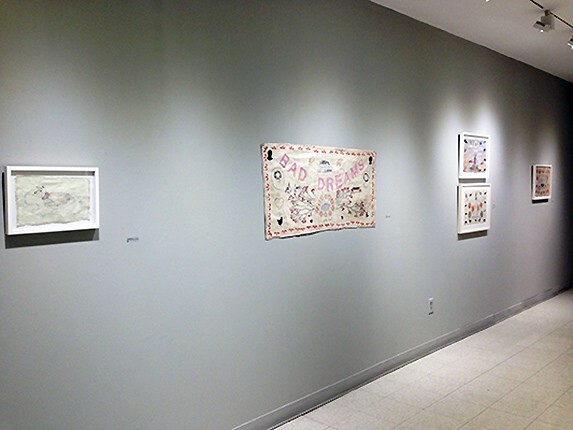 The artist combines fiber arts, drawing and traditional printmaking methods to create deeply personal images. 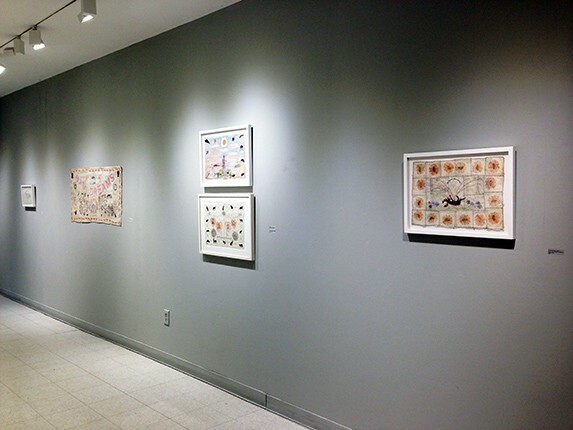 Curcio’s formal background is in printmaking, but he is self-taught in both stitching and embroidery and he combines these media in order to achieve an unsettling impact through un-assured techniques. Hand-drawn motifs repeat throughout his pieces, focusing on the process rather than the result. 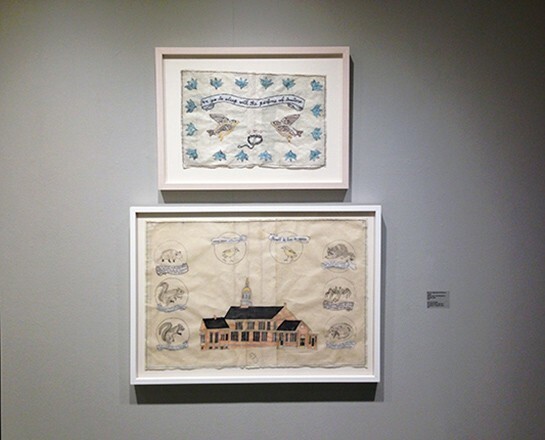 With its heavily worked surfaces and homespun feeling, the work deliberately connects to American folk art traditions. 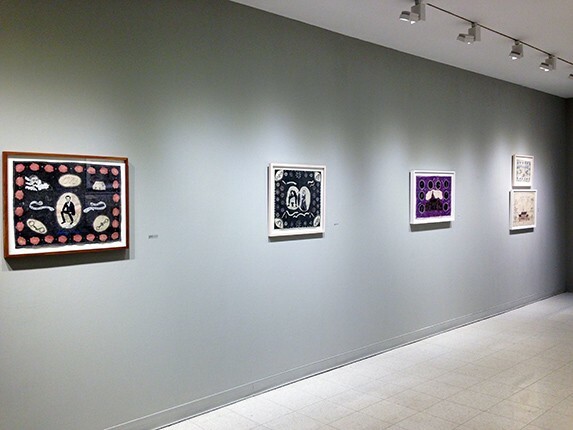 Although it also performs a decorative function, Curcio describes his use of embroidered text as essential to the work. At times the text is paraphrased from literature or song, or his own words, sometimes highly pronounced and other times lightly scrawled, but always having a distinct voice. The works featured in Bad Dreams…or Not reference the difficult struggles Curcio has faced both in his personal and professional life, but through historic imagery of among others Abraham Lincoln, a President who also dealt with depression. Although highly personal in content, the pieces are illustratively detailed and pay homage to the rich history of both New England and the United States. Curcio currently lives and works in Watertown, MA. 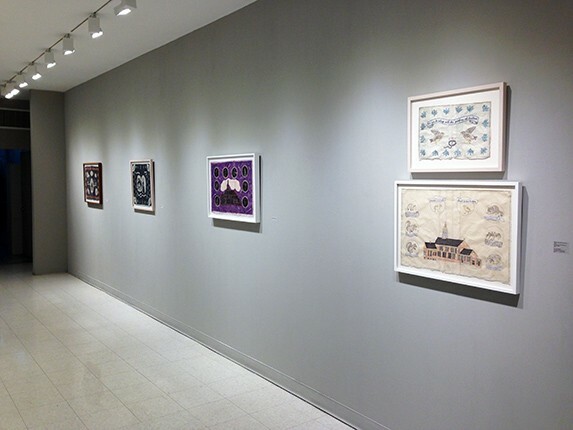 He received a BA in Art History from Boston University and a MFA in Printmaking from Pratt Institute. 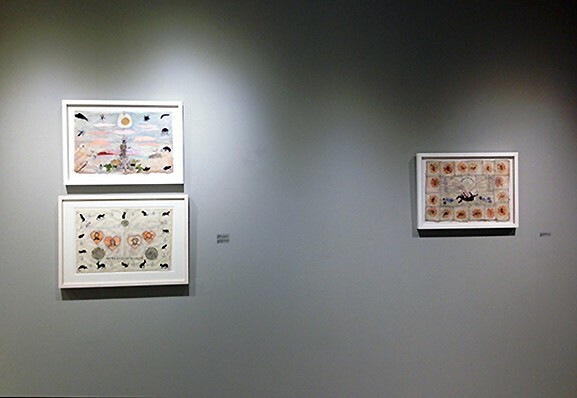 Curcio has exhibited prolifically throughout New England and across the country.